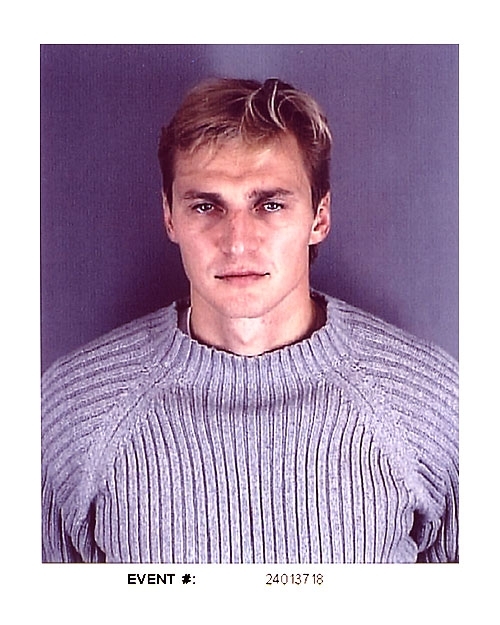 Hockey superstar Sergei Fedorov was photographed by Royal Oak, Michigan cops in September 2001 after his arrest for driving while impaired. Officers stopped the 31-year-old Detroit Red Wing for running a red light and asked him to take a Breathalyzer test. When the NHL star registered a .09 blood alcohol content--just below the .10 required for a drunk driving charge--Fedorov was hit with the misdemeanor impaired driving rap. In January 2002, the athlete pleaded guilty and was sentenced to a year's probation, directed to perform 100 hours of community service, and ordered to pay fines and court costs.